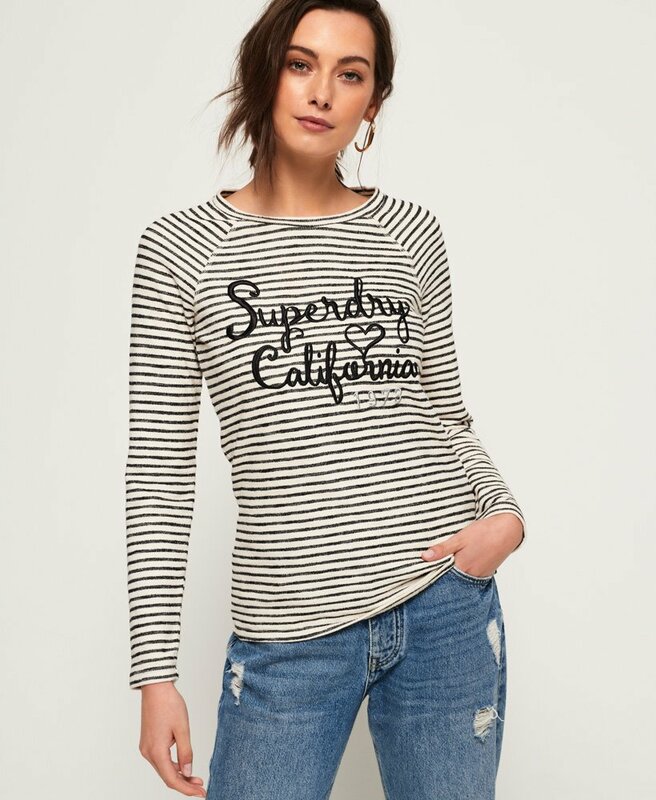 Superdry women’s Blossom Raglan applique top. 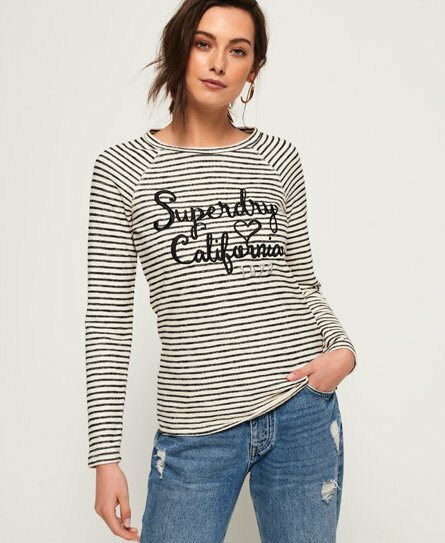 Top up your stripe collection this season with this cotton rich long sleeve top. The Blossom Raglan features a large embroidered Superdry 1974 across the chest, flattering crew neckline and a Superdry tab on the hem. Pair this top with your favourite jeans or tuck it into a denim skirt for a classic, yet fashionable look this season.